Hopefully by now you may have read my First Drive of the Audi TT RS in which I mentioned that was the third car I drove on the SMMT Test Day. 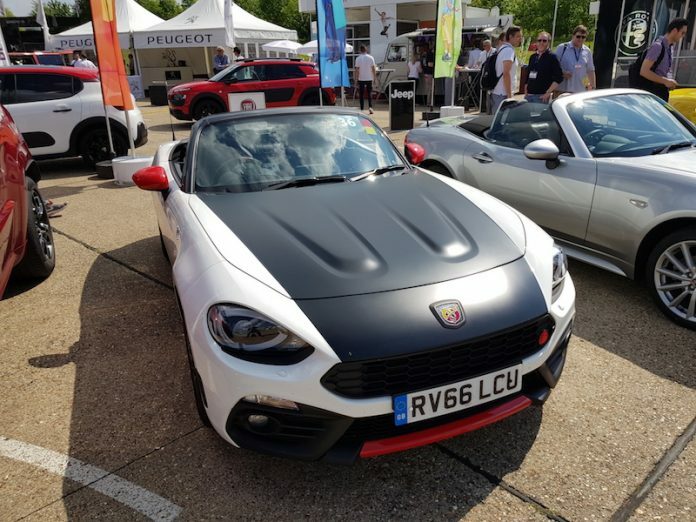 Well I’ve realised that it was actually the fourth – the third car was actually the Abarth 124 Spider. No, it wasn’t forgettable to drive, I just got my order of cars mixed up! I was hoping to drive either the Alfa Romeo 4C Spider or the Giulia Quadrifoglio, but sadly both were fully booked for the day. Seeing as I was at the FCA (FIAT Chrysler Automobiles) stand, I decided to jump in to the Abarth 124 Spider. This model was finished in white with the retro-inspired black bonnet and it looked just fab in the sunshine. Enough of that though, what’s it like to drive? 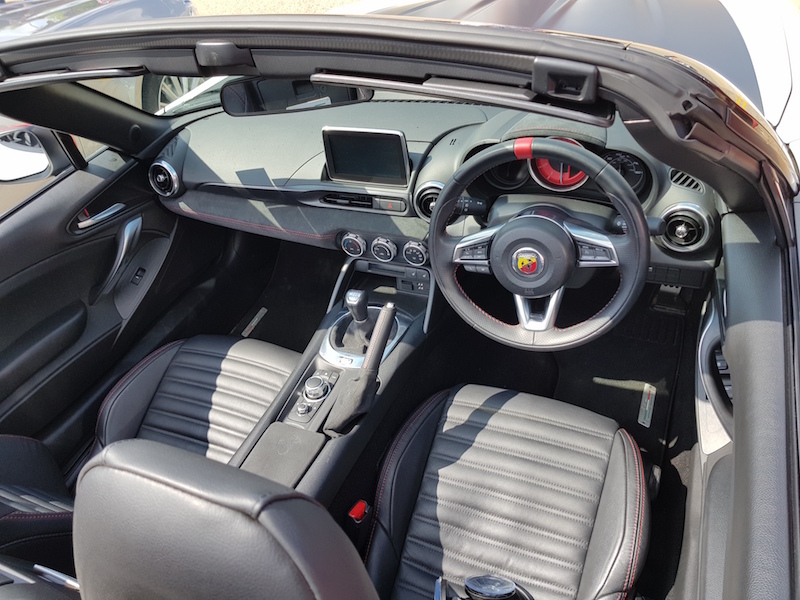 Powering the Abarth version of the 124 Spider is a 1.4 turbocharged petrol, which may seem a bit piddly, but it’s still enough to offer 170bhp and 240Nm of torque. 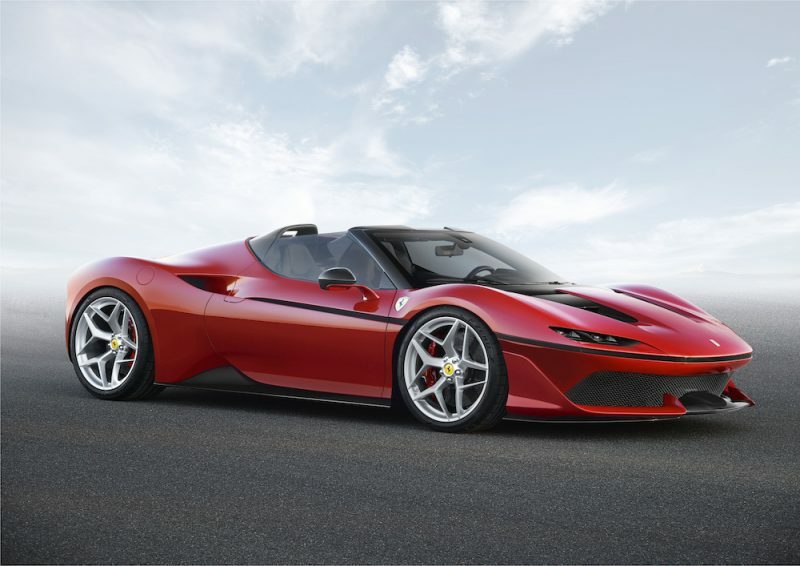 This means you will hit 62mph in respectable 6.8 seconds and it will continue on to a top speed of 143mph. As you would expect, the power is fed to the rear, with the help of a slick 6-speed manual and a limited slip diff. 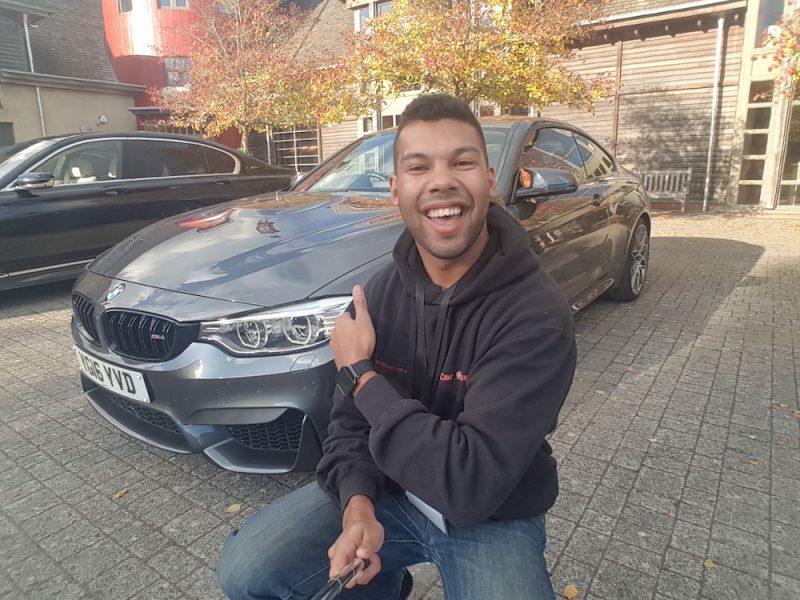 Turn over the engine and the first thing that will hit you is the meaty exhaust note, which sounds like it’s coming from a much bigger engine – I like it. Set off and you’ll find that the car is rather nippy, but on the hot day I drove it, cruising speeds actually felt more pleasant. 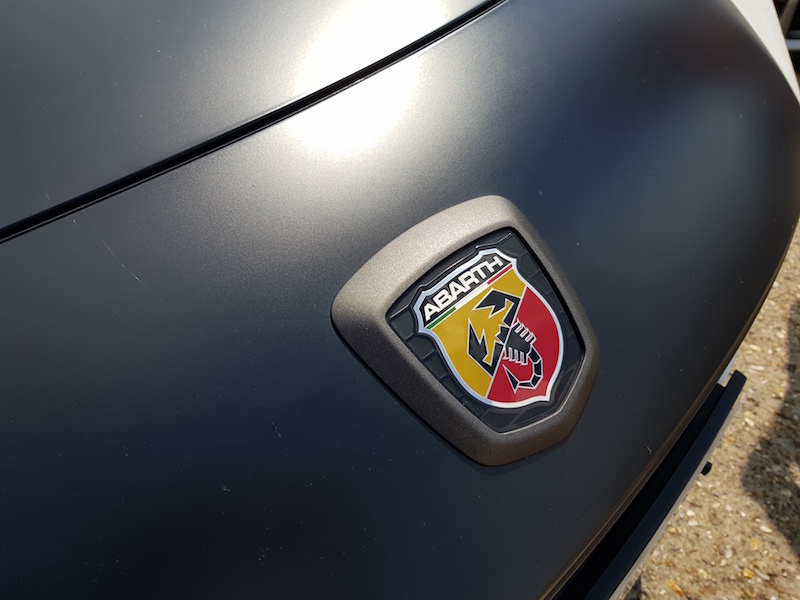 That’s not to say this car can’t tickle your nerve endings when the going gets twisty – yes, there’s a bit of body roll, but there is plenty of enjoyment of throwing this Italian sportscar through the corners. 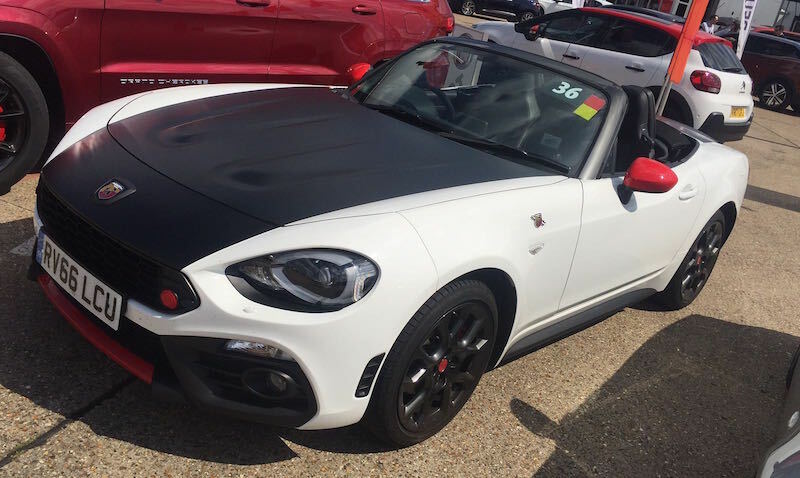 On the topic of nationality, as you probably know, the FIAT/Abarth 124 Spider is made in conjunction with the new Mazda MX-5, so it should be reliable as the day is long. Sadly I’ve not driven the current MX-5, so I cannot draw a comparison. 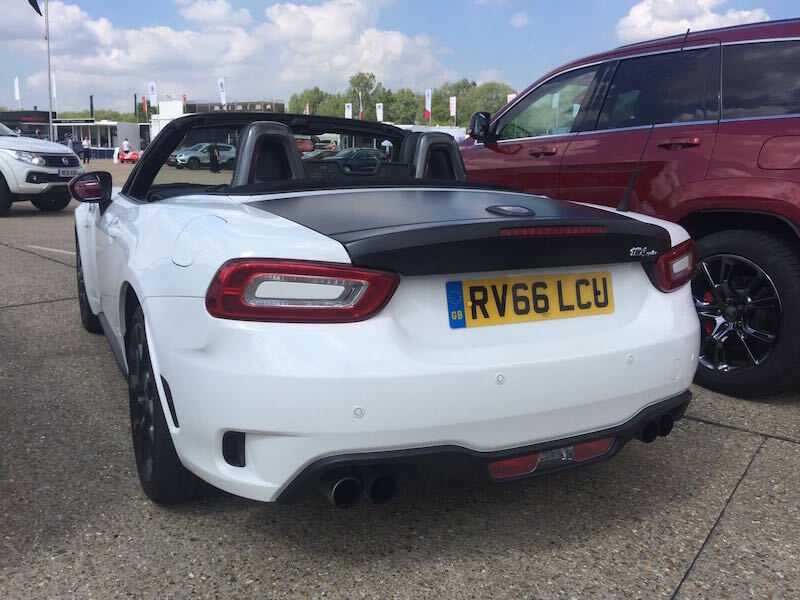 I can say that the 124 Spider is a complete hoot in the corners though and don’t forget you have the advantage of having a limited slip diff to help deliver more tail happy action. The inside is a rather nice place to be – I love the red stripe on the steering wheel.